The city of Columbus is the Ohio's state capital, the state's largest city, and it just happens to be the 15th largest city in the United States. Named after the explorer, Christopher Columbus, the city of Columbus was founded in 1812 and is home to nearly 900,000 residents who call this great city home because of its diverse economy. BusinessWeek magazine ranked Columbus in its top 50 best cities in America in 2012. Forbes magazine then gave Columbus an A rating in 2013, listing it as one of the top cities in the U.S. for business. 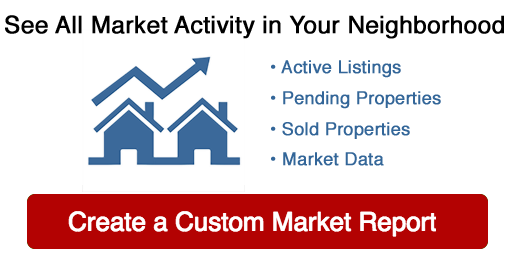 Real estate in Columbus currently has a median sales price of $113,00 based on the most recent home sales through March 16, 2016. More than half of Columbus residents are homeowners and current listings show homes that range from fixer-uppers to new construction for sale. 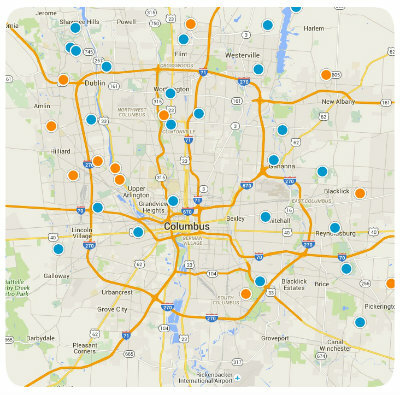 Columbus caters to public education by providing more than 118 schools and 4,000 teachers for its students. Currently there are more than 56,000 students enrolled in the Columbus public school system and there is even an app that parents, students, and staff can download to stay in the know with Columbus City Schools. Residents of this great city have many choices when it comes to attractions or events. Easton Town Center is a destination for shoppers while sports fans can catch a college game at Ohio State University, a hockey game at Nationwide Arena, or a professional soccer game at Mapfre Center. The Shadowbox Live is the largest resident theater company in the United States and The Book Loft happens to be one of the largest U.S. independent book stores. Other attractions include the Wexner Center For the Arts, the Ohio Theater, the COSI science museum, and the Columbus Parks & Recreation Department offers more than 230 parks, 30 community centers, 6 golf courses, more than 120 miles of trails, and programs for Columbus residents ranging from toddlers to seniors.